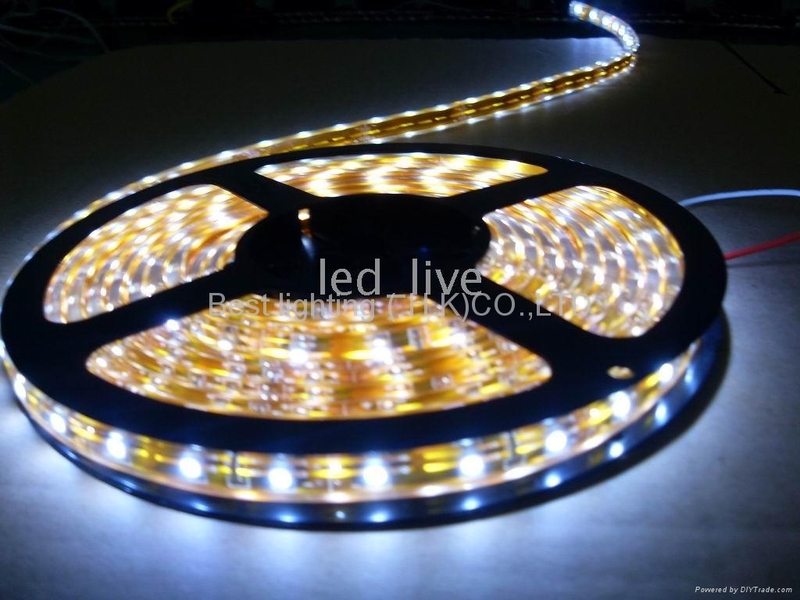 Waterproof SMD LED strip adopt high brightness LEDs as light source and high quality flexible PCB, every 3-LED is a group, can be cut and connectted. Outer adopt silical gel tube as waterproof cover, it can prevent UV, water and dust, firmed by back adhesive 3M tape, The avalibale colors are red, green, blue, yellow, white, warm white. Widely used for architechtural decoration lightings, sign lightings and so on.